OLD PARKED CARS. 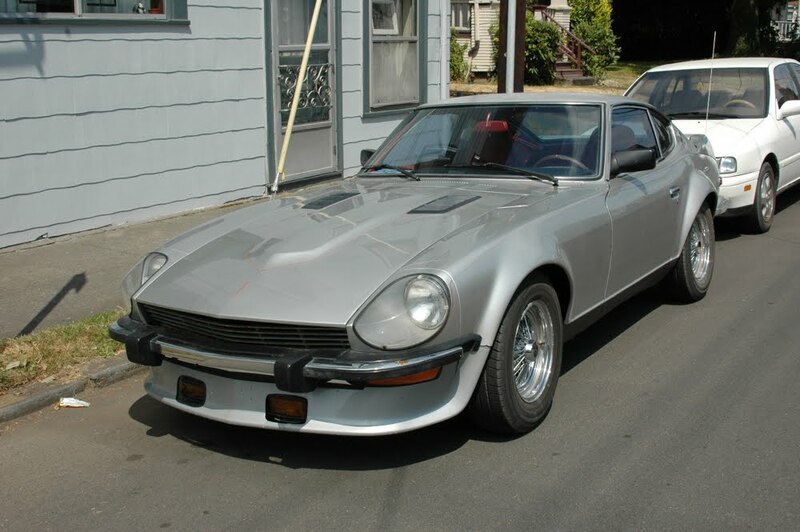 : 1974 Datsun 260Z. I don't care what anybody else thinks, there's something undeniably classic about this car with these mods straight outta some time capsule. 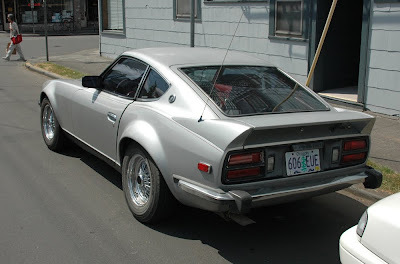 I'd like it a heck of a lot more without the mods, but I just love how many different ways you can make a Fairlady Z look. It's such a classic sports car body that's been influenced by so many other cars, but it always stands out from the crowd...But whoever thought up those wheels is no friend of mine. To me, looks like period-correct customization. Wire-wheel Z-cars and 620 pickups were a common sight back then. 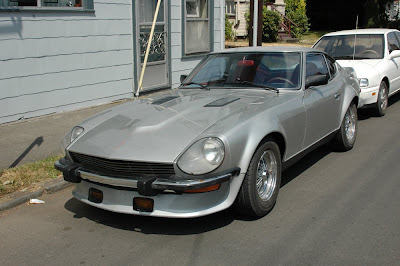 My 71' 240Z looks very similar, but the bumpers are bigger and these tend to weigh a lot more. 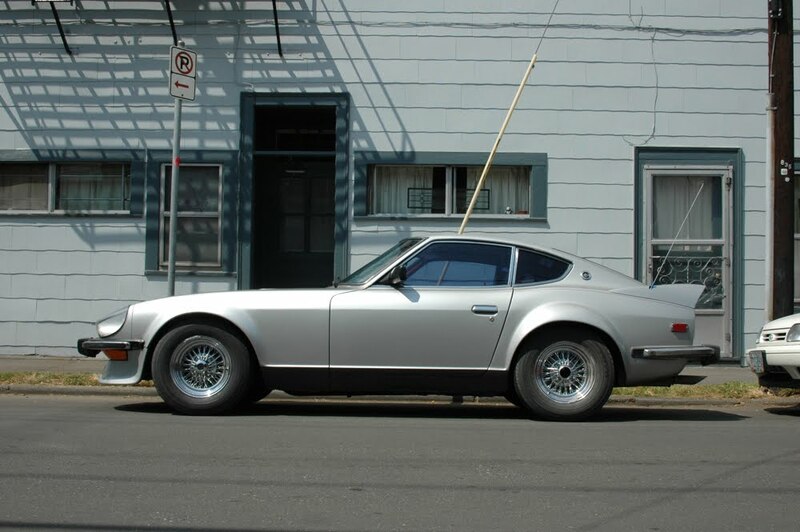 Still, the 260 is the forgotten Z, its very cool!